Credit Eureka is one of the most experienced agencies in the world for companies who have an interest in Accounts Receivable Puts, also known as AR puts or Accounts Receivable Insurance. An Account Receivable Put offers your company protection on your outstanding invoices in the event that your customer files for bankruptcy or a restructuring. We are pioneers and architects of the bank issued AR Put credit products, and have structured put protection on diverse payment obligations – from auction rate securities to accounts receivables. On companies as diverse as Sears to Wachovia. Contact Credit Eureka to quickly get your company ‘set up’ with a provider so it can take advantage of the AR put market, whether an actual purchase is imminent or several weeks away. Use this page to learn more about Accounts Receivable put options, or reach out to Credit Eureka for a quote at a competitive cost on AR puts. What is an AR Put? A contingent AR sale agreement for suppliers. Available for protecting sales to individual US or foreign customers who have publicly traded debt, or to qualify the AR for financing. 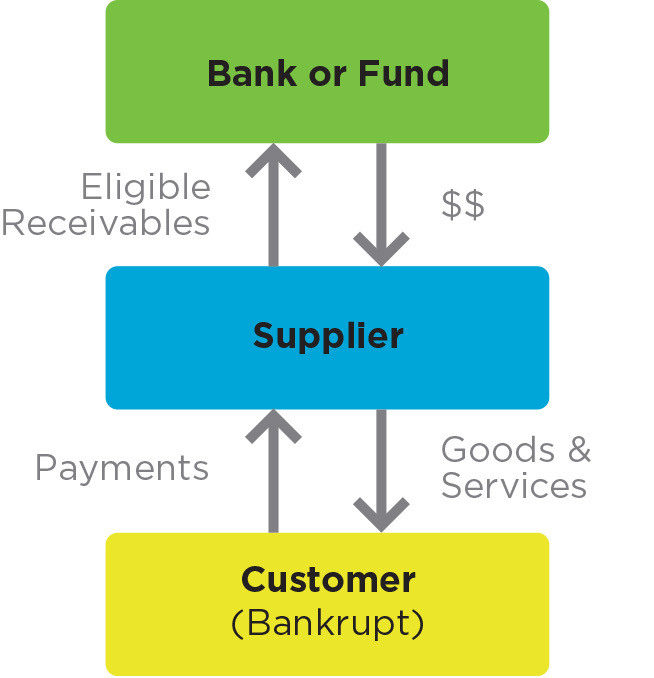 Suppliers buy a contract that provides the option to sell a fixed dollar amount of AR in event of customer bankruptcy. The supplier sets the dollar amount at outset, usually from the expected credit balance with the customer. While there are exceptions, minimum contract levels & term run around $1 million & for periods of 180 days. Maximums can exceed $100 million & for 5 or more years. The agreements are sold by a limited number of banks and private equity firms. What are some of the differences between AR Puts and traditional trade credit insurance? Main distinction is the sellers. AR Puts are only sold by banks or other lenders, and the contracts reflect this. There are few AR put sellers. Contracts are available for a limited number of customer names. It’s indexed to debt, so until the purchase date, it is subject to daily price change. Depending on bank and contract structure, it may also require a credit allocation from your company. How are Accounts Receivable Puts priced? Similar to interest rates. Pricing is a fixed ‘per annum&lrquo; or ‘per month&lrquo; rate. The rate is applied against the $ amount contracted. Similar to interest rates it has potential for day-to-day variance until purchased. Not much variance for a strong supplier customer, more volatile for weaker customers (most recently Radio Shack). Price for large $ amounts ($20MM+) can also be subject to market risk – i.e. risks not specific to customer in question. For example, when there is substantial movement of a debt index, it will move the individual price for a customer. Can be as short as 3 – 5 days to arrange from non-bank lenders. 1 – 2 weeks from banks. Suppliers are encouraged to consult with counsel when reviewing the contacts.